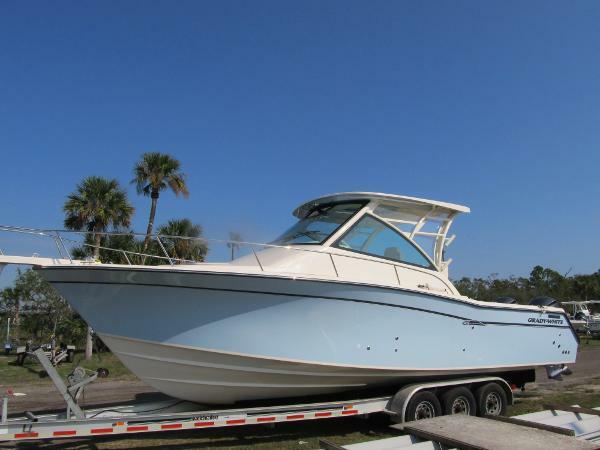 2014 Grady-White Express 330 Here is the one owner fully loaded Grady White Express you have been looking for. 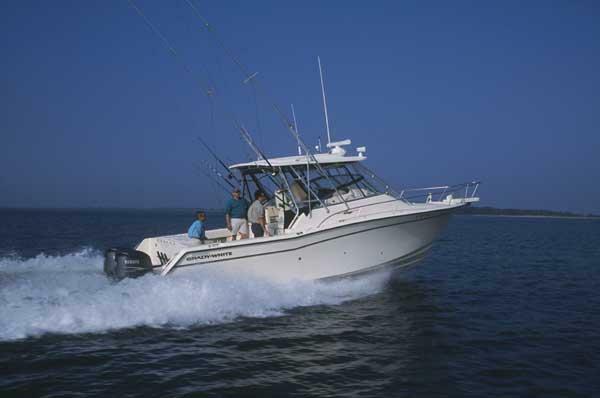 The Grady 330 Express features a wide open cockpit perfect for fishing, plenty of comfortable helm seating, and a spacious and luxurious cabin. This 2014 330 Express was sold new by our dealership and it is in great condition. The boat has been used three months a year with bottom paint, dry stored the rest of the year under a full custom cover (included with the sale), and regularly detailed when in use. It comes fully loaded with Gradys standard and optional features including a diesel generator with 120 hours, Cabin A/C, Helm A/C, refrigerated/freezer fishbox, water heater, shore power, bow thruster, live bait well, Taco Grand Slam outriggers, Lewmar stainless windlass, and much more. The powerful twin Yamaha 350 HP Four Stroke outboards which power the boat have just 260 hours, remaining warranty until March of 2019, and are equipped with the desirable Yamaha Helm Master control system with joystick docking, single lever cruising, auto trim features, and more. Cabin amenities include stand up head with sink and shower, full galley with twin electric burner, microwave, refrigerator, stainless sink, Corian countertops, and plenty of storage space. Boat has a generous aft berth, forward berth, settee with custom Teak table also converts to small additional berth suitable for children when not in use, and features an LCD TV with DVD player viewable from the forward berth, settee, or when cooking. Plenty of natural light with the two overhead opening hatches and lots of available light fixtures ensure the open cabin feels spacious and inviting. Increase your comfortable space with the helm air conditioning and included full eisinglass enclosure for the fiberglass hardtop and navigate in comfort from the helm chair sitting or standing with the flip up bolster. Or roll up the curtains, open the side window vents, and cruise in the open breeze. Full Garmin electronics include twin 7212 touch screen GPS Chartplotter/Depthsounders, GSD24 2 w 1KW thru hull transducer, GC10 cockpit camera, open array radar, Icom m504 vhf radio, ACR remote searchlight, Fusion stereo, and Garmin Autopilot. 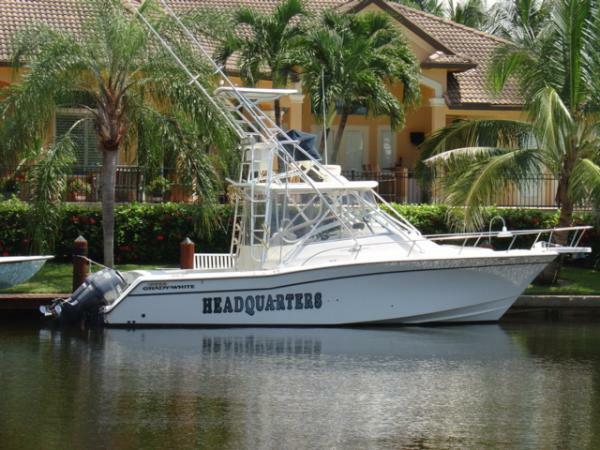 This Grady is ready to get out on the water for your familys next fishing, diving, or cruising adventure today. Please contact us to arrange a showing of this fine vessel or with any other questions. 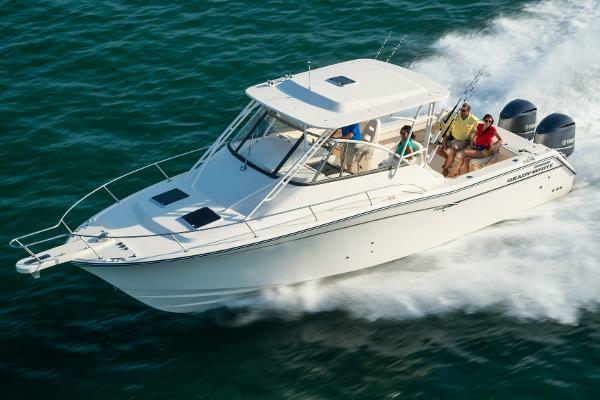 2017 Grady-White Express 330 Named one of the 25 greatest offshore saltwater sportfishing boats of the decade, the 33-foot express cabin boat Express 330 recently was completely redesigned with an emphasis on seating, cabin amenities and interior lighting. Not only is the 330 a premiere sportfishing boat, its a great family boat and overnight cruiser. 2004 Grady-White Express 330 Powered by Twin 2012 Yamaha Four Stroke 300HP Outboards with Only 285 Hours and Warranty Until 8/3/2017! Maintained by Dedicated Owners with Lots of Upgrades and New Features! 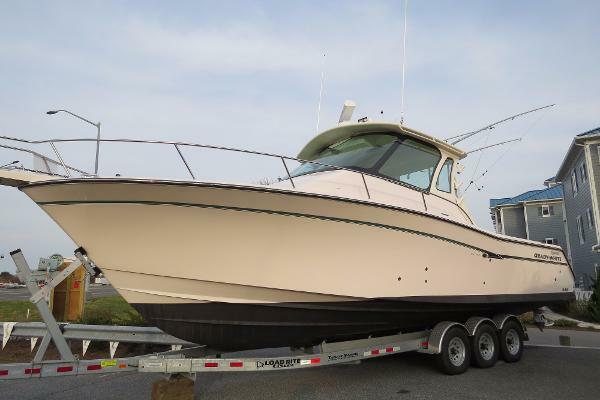 Includes: Hardtop w/ Full Enclosure and Outriggers, Custom Aft Bimini Top, Cabin Air Conditioning, 4KW Fischer Panda Diesel Generator w/ 200 Hrs. 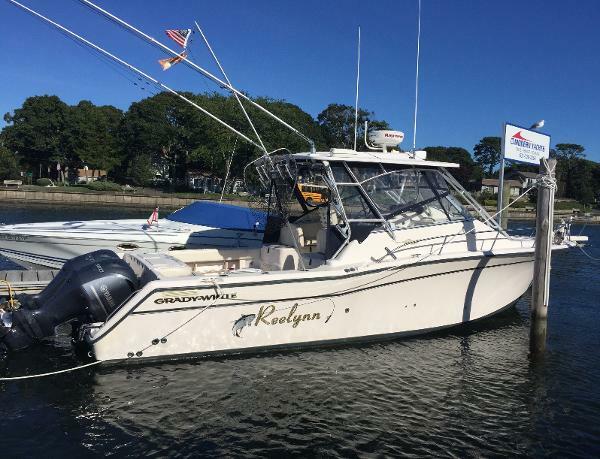 (Rebuilt in 2016), Twin Garmin 7212 GPS/Plotter/Sounders w/ 6KW Open Array Radar, Garmin GHP 10 AutoPilot System, Satellite Weather Receiver, Remote Searchlight, Marine Stereo, Cabin TV/DVD Player (2016), Microwave (2016), Upgraded 4 New Batteries, Upgraded LED Lighting, New Cabin Cushions (2016), Windlass w/ Wireless Remote Control (2016), Vacuflush Head System, And Much More! Sorry, Life Raft and Cockpit Table Not Included. ASKING $165,000 Thanks for Checking Out Our Boat. 2002 Grady-White Express 330 This 33 Grady-White Express has new 250F Yamaha 4-stroke installed August 2013 with mechanical shifting, Generator and A/C. Tower with hard top and outriggers, full lower station enclosure, equipped for fishing. This boat is in excellent condition and ready for "Fish-on"! 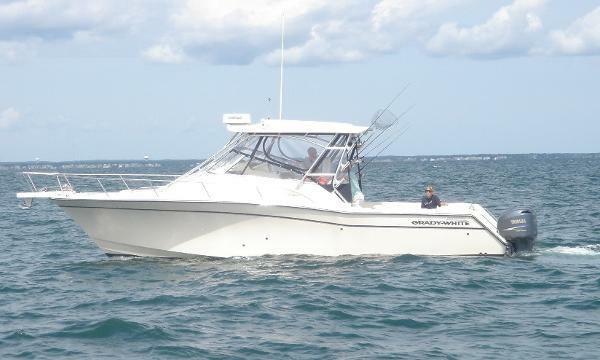 2007 Grady-White Express 330 2007 330 Express Grady White with twin Yamaha F250 four strokes. She is in excellent condition and comes with a ton of extras. 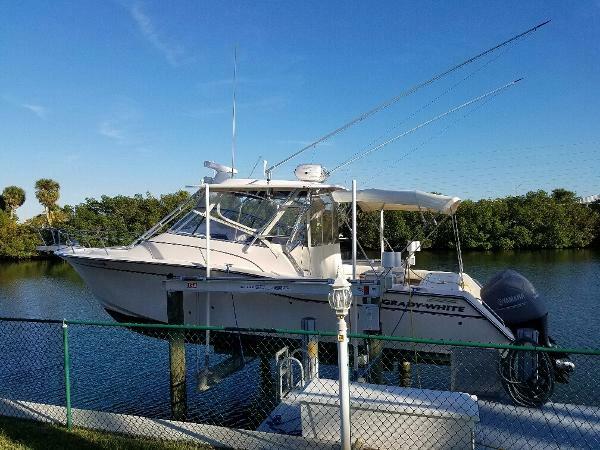 Hard Top with Full Enclosure, Simrad Electronics, Radar, Chart Plotter, Fish Finder, VHF Radio, Rocket Launchers, Enclosed Head with Shower, Microwave, Stove Top, TV with DVD, Livewell, Fold Down Aft bench Seat, Platinum Deluxe Helm Chair, Satellite Ready Stereo, High Bow Rail, Anchor Windlass and much more. Call for a more detailed description. She was very well maintained and professionally serviced by the selling dealer since it was brand new. 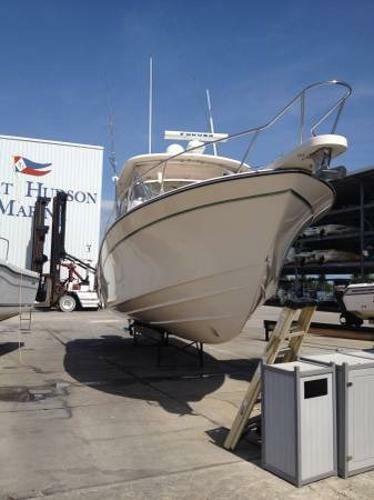 2014 Grady White EXPRESS 330 This Lift Kept, 33' Express has it all! With its desirable 300 Yamaha four strokes, Helm Master joystick controls and extended Yamaha warranty until 2017, its electronics package is something you might expect on a 60 footer. 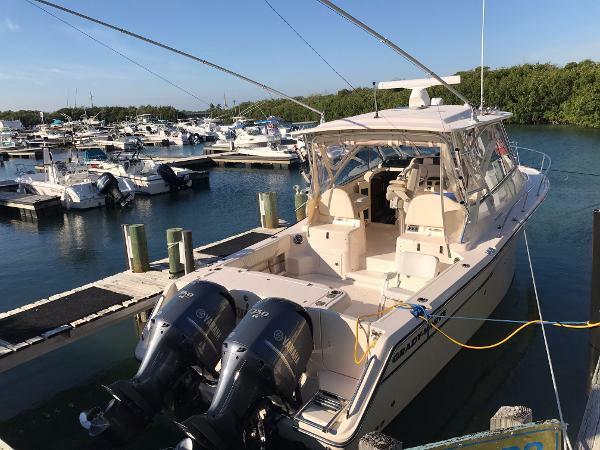 She has two Furuno glass touch screen units, Furuno radar, Furuno GPS, Furuno bottom machine, Sirius weather, Sirius radio, Simrad auto pilot, Sat phone, Sat TV, twin VHF radios and remote search light. This Grady White also comes equipped with a diesel generator, cabin AC, helm AC, underwater lights, a road trailer and much, much more. 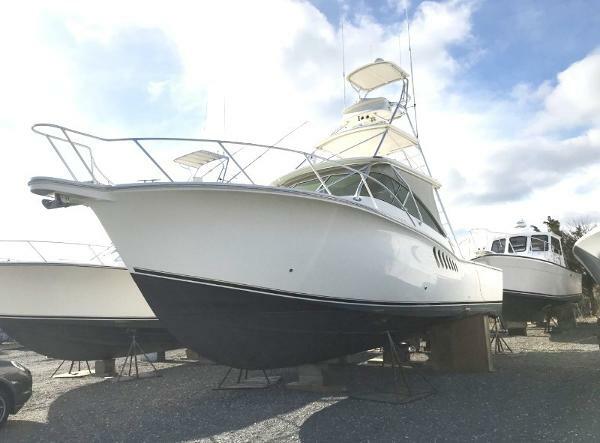 Don't wait, come see this like new, low hour vessel now on our Bluewater Yacht Sales lot in Ocean City, MD.